Mix Daredevil's preternatural echolocation with Aquaman's mastery of the sea inside a cetacean frame, and this superhero mashup would bring you pretty close to a dolphin. But these marine mammals may also have a dash of Magneto. Dolphins can perceive magnetic fields, say a team of researchers from the University of Rennes in France in a study published Monday in the journal Naturwissenschaften. In a test, dolphins more quickly swam toward a barrel containing a magnetized block of metal than toward a non-magnetic, otherwise indistinguishable, barrel. 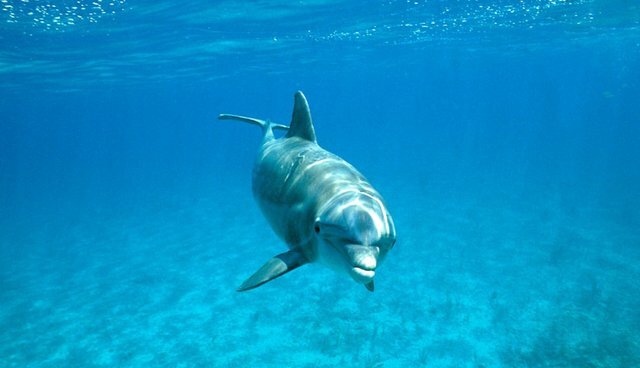 "Dolphins are able to discriminate between objects based on their magnetic properties, which is a prerequisite for magnetoreception-based navigation," lead author Dorothee Kremers says in a statement. "Our results provide new, experimentally obtained evidence that cetaceans have a magnetic sense, and should therefore be added to the list of magnetosensitive species." The animals might be able rely on this superhuman sense to navigate along the earth's geomagnetic fields, the authors say, though they point out that this field is, in general, fairly weak. But dolphins certainly wouldn't be the first animals to do so. Homing pigeons, for example, have neurons in their brains that are sensitive to magnetic fields, which are thought to aid in their hundreds-of-miles-long journeys. Now if only dolphins and pigeons could join forces to fight crime.